Spring and summer are the perfect time to enjoy a frozen Chateau La Paws Blueberry Granita, made with red wine, blueberry juice, fresh blueberries and garnished with edible baby roses and carnations. This refreshing cocktail has been inspired in the love I have for my sheltie Lady Bella who loves to play in my garden and likes the smell of the edible flowers growing in my garden. 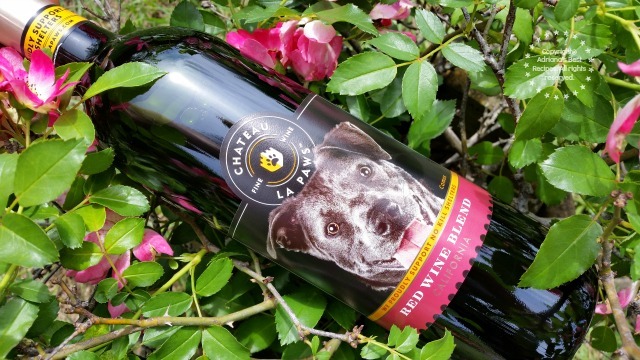 The Chateau La Paws Red Blend has a fruit-driven profile with Zinfandel, Merlot and Syrah so this wine is perfect for sangria, the flavor base for this Chateau La Paws Blueberry Granita recipe. 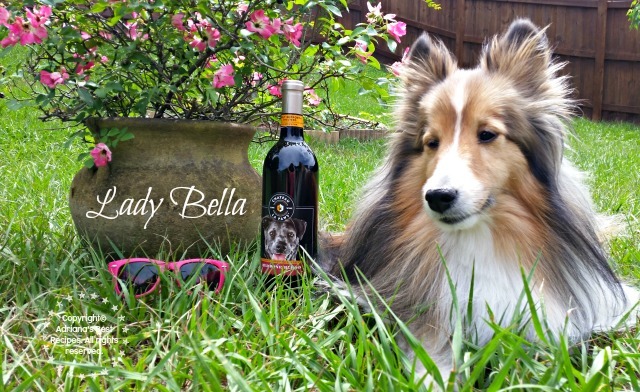 This frozen wine cocktail is a fruity drink with the mellow bouquet of this Chateau La Paws Red Blend and the sweet tartness of the blueberries. Preparation time: 3 hours. Makes 4 servings. You will need glass or aluminum tray 3-5 inches deep and a fork. Put the pan in the freezer and allow the wine beverage to freeze for about 3 hours. When the wine gets firm scrape with the fork and make the granita. If if the wine is too firm use an ice pick until you get a frappé consistency. 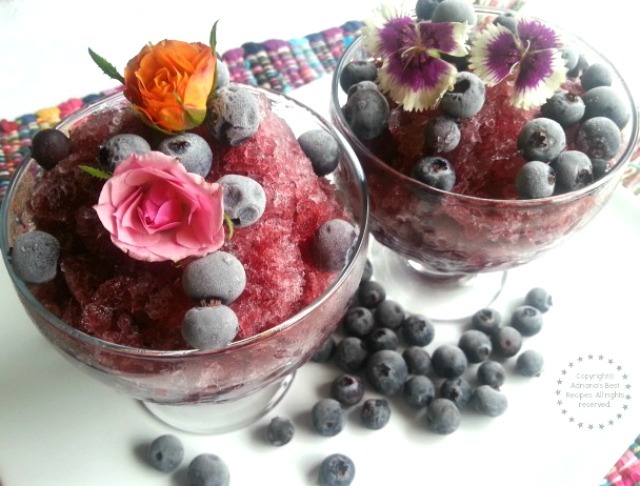 Serve the granita on a glass and top with fresh blueberries and edible flowers. You can eat the Chateau La Paws Blueberry Granita with a spoon, or let it melt and drink directly from the glass adding a straw if needed. 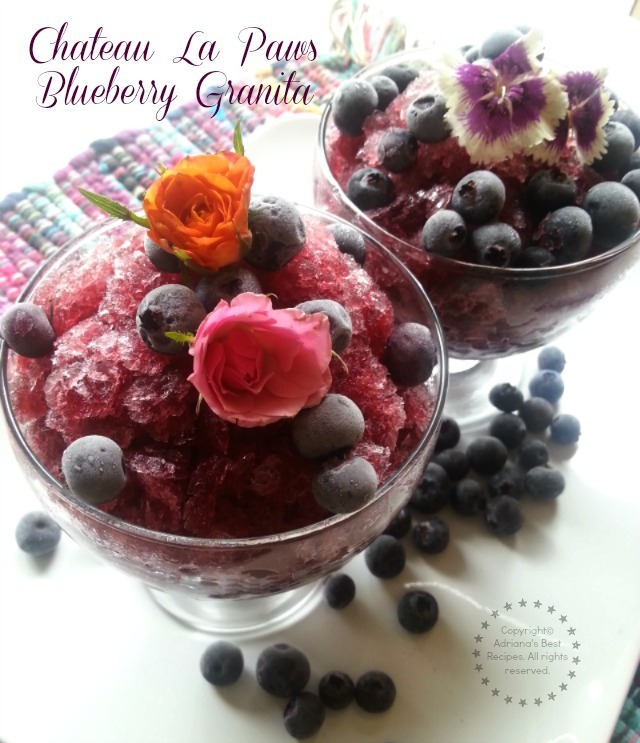 This Chateau La Paws Blueberry Granita is a fun drink to serve on a party. Everyone will be pleased and will be the talk of the town. This cocktail is wonderful to prepare a day in advance. As you know I am a dog and wine lover so when I was given the chance to write about Chateau La Paws wines proud supporters of No Kill Organizations, I thought it was a great way to show my creativity on how you can make fun wine drinks using blends like this Chateau La Paws Blueberry Granita and also to provide awareness on the importance of adopting and rescuing dogs in need. Dogs are a great addition to any family, they bring so much love and are the best companions. In my opinion having a dog completes your family and makes life even better. My dog Bella brings me a lot of joy, she is always happy, has a lot of energy and a gentle soul. She was considered the runt of the litter and couldn’t be a competition dog so we decided to adopt her and bring her home. Few months before I lost my two elderly dogs of twenty years and I just couldn’t bear being without my best friends. Bella helped me in my sorrow and lighten up my days. Now Bella is my best friend, she loves to be in the kitchen watching what I am doing and from time to time checking scraps that accidentally land on the floor. We also have four cats, all rescued. Bella keeps them busy as she enjoys to play with them too. 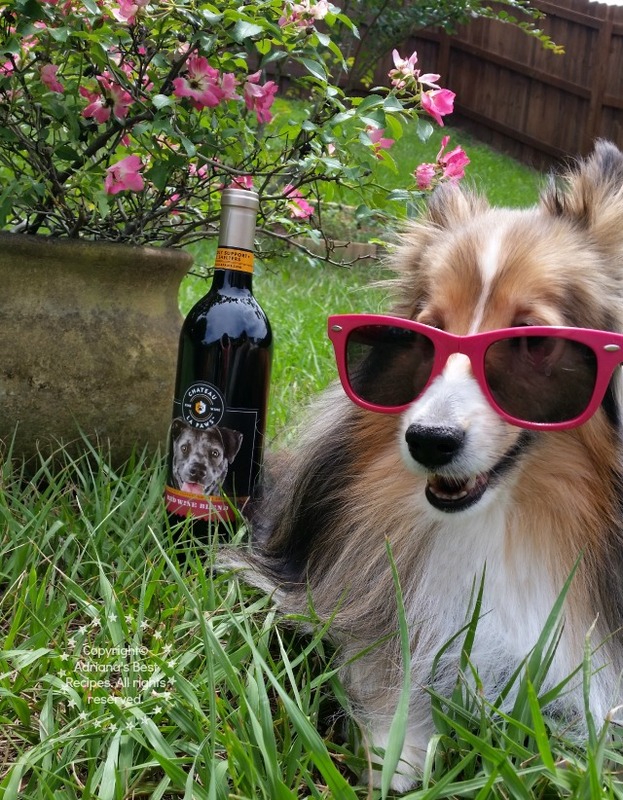 In 2015 Chateau La Paws™ & Diageo Chateau & Estates are donating $100,000 to North Shore Animal League America to help fund the work they do to rescue, nurture, and adopt as many dogs as possible.That is why I invite you to join the movement and help saving dogs lives while enjoying a nice glass of wine with friends and family. You can connect with Chateau La Paws on Facebook and on Instagram. 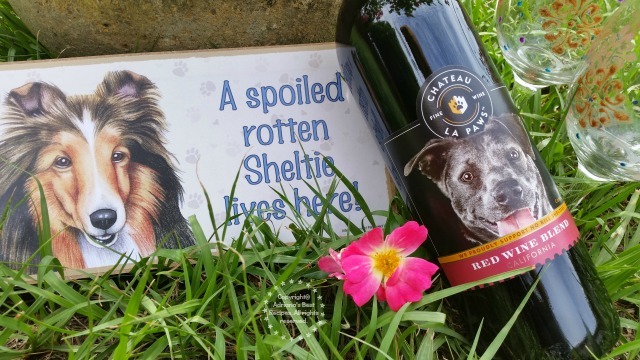 And you can purchase the Chateau La Paws wine online too. This looks so good! I love you doggie! such a cutie! Que bellas fotos de Bella!! Esta bien refrescante para este verano! Que buena campaña me encanta que protejan a los animales que son parte de la familia. Voy a buscar este vino gracias! 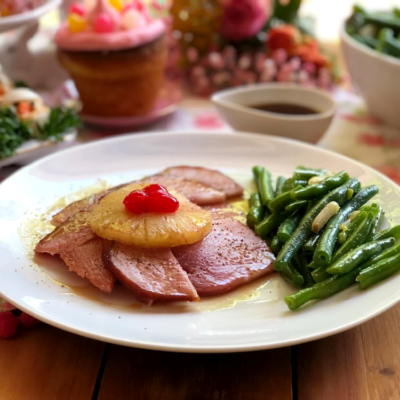 I am loving this recipe and the photos! 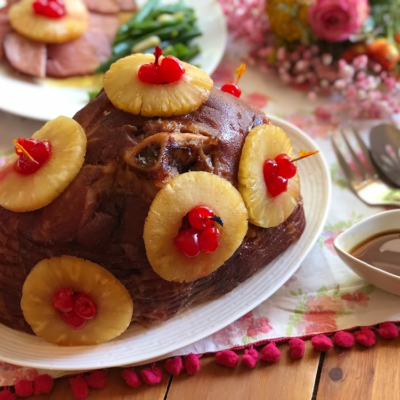 Thank you for the recipe looks delicious. Me encantó la receta, perfecta ahora para el calorcito y tus fotos bellas, me fascinó la del perro. My spoiled rotten maltipoo loved this post. Muy buena combinación y las fotos reflejan mucha frescura, lo mejor para el verano. 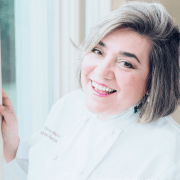 That is an awesome recipe! It’s perfect for the upcoming warm weather! That looks really tasty. Very refreshing for the summer months ahead! Es verdad .. muy bellas las fotos de Bella. I will have to add this to my must try recipes. guao that looks fantastic!! i will try it this summer for sure 🙂 thank you for sharing! Aww!! I love Shelties, what a cute pup! 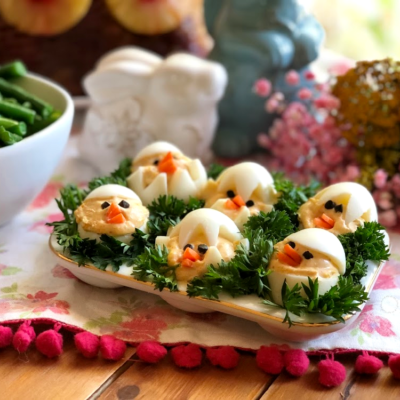 Oh wow this recipe looks very delightful! 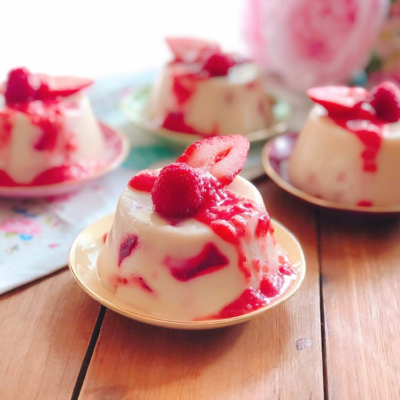 A great treat for those hot summer days that are coming soon! Uh wowww! 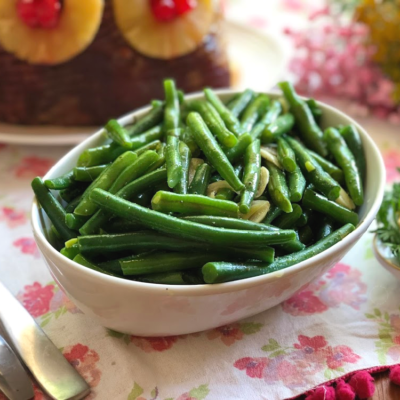 Es una receta que seguro me encantará! La voy a probar ¡que rico se ve!